Immersion Therapy is becoming internationally recognised as a service that provides therapy and practice to people with disability and injury in ways never seen before. It was developed within the Biopsychosocial Model to offer freedom of movement within a weightless environment. With a number of benefits to this model, Immersion Therapy has a passion to effectively deliver services within this framework, with client relationships and positive experience being at the core of our philosophy. 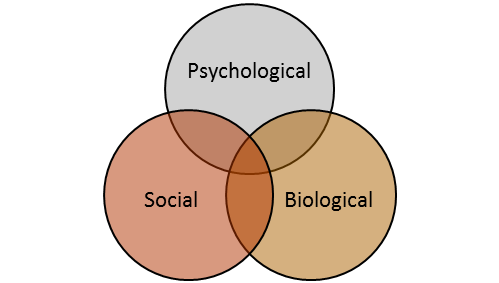 The Biopsychosocial Model, as developed by George Engel, challenges traditional methods, with “recent research in psychology and the social sciences…[seeking] to develop a new, more extensive model of health that can be applied in clinical practice” (BMJ). Essentially, Engel proposes that social and psychological factors can influence our physical wellbeing and that they are worthy of our attention and research. Biological, social and psychological factors all interact to determine health outcomes. Previous research has focused predominantly on biological factors being the key player in health. Without downplaying the importance of medical means to treat disease and illness, the model suggests that social and psychological factors should also play an important role (BMJ). Through Immersion Therapy, the Biopsychosocial Model has delivered exceptional results to a broad range of clients.